Come lap swim with us for a fun way to work in your exercise! 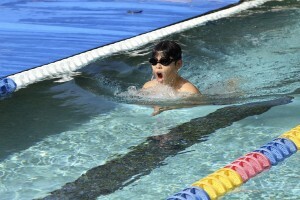 Our pool is heated and perfect for beginning to expert swimmers. 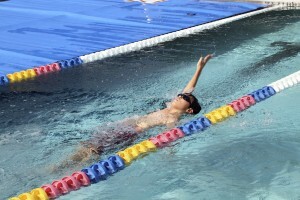 We are the perfect pool for you to train for your triathlon or ironman. The shallow end is also open for low impact aqua walking or jogging! The membership includes unlimited usage during normally business hours; as well as call ahead lane reservation guarantee. Don’t want to do a monthly commitment? We have single use lane rental available. The daily fee covers the lane usage, up to one hour, during normal business hours. Lap Swimming is available during the following hours unless there is a private Party.